Increase Exposure, Traffic, and Overall Campaign Performance. 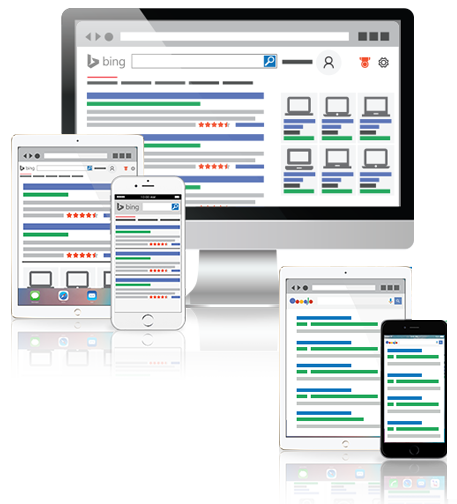 See How Paid Search Management Can Improve Your Business. Paid Search has become one of the most common and cost-effective forms of online advertising. The simplicity of paid search advertising is that you only pay for an ad when it is clicked, hence the term pay-per-click (PPC). The fact that PPC advertising is extremely measurable allows businesses to leverage online marketing campaigns while maintaining marketing budgets and targeting specific goals. In addition, PPC campaigns have the ability for diverse targeting options including location, gender, and even specific interests. The possibilities for online advertisement are endless and we understand what it takes to be successful with paid search campaigns and the dramatic difference it can make in a company’s growth. 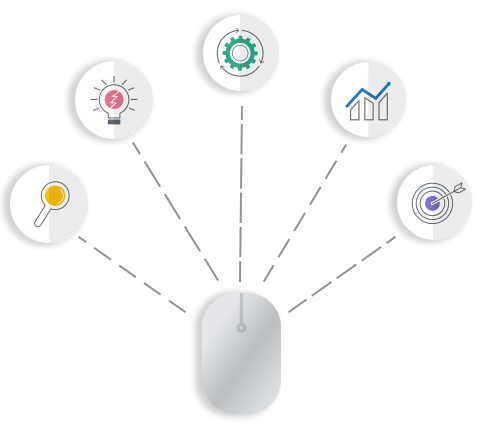 Why Use Paid Search Management Services? Expand your reach, conversions, and increase ROI. The founders of OperationROI have been managing pay-per-click ads on the Internet before the birth of Google, so we think we have a solid base for understanding what’s involved on a daily basis. Paid search advertising is still a key component to many businesses’ success, and like most forms of online marketing, PPC campaigns are becoming more complicated requiring better strategy and focused attention. We understand the complexities of managing successful online advertising campaigns, which is why we will develop targeted paid search campaigns that are highly efficient and ever-evolving. Using campaign performance data, we will execute strategies leveraging text ads, display ads, and remarketing to meet and exceed your target goals. Our pay-per-click management team is trained to provide you the attention that will exceed your expectations. Our commitment to every client is unmatched because we’ve been in your shoes and understand the work involved in setting up a successful campaign and developing a strong partnership. Reach new customers, improve click-through rates and ultimately increase ROI. Our expert paid search management team will research and develop a comprehensive strategy aimed at your target audience. To gain traction and build successful campaigns, the writing of compelling ad copy, and testing that copy, is paramount for growth. We will develop new ads, as well as analyze past advertising efforts, to continue market penetration. Long-term success will ultimately be determined over time with continued campaign optimization, analyzing keyword and ad performance, as well as understanding how to react to ongoing data. Whether Google, Bing or another channel, the monitoring and adjusting of keyword bids based performance goals is vital for improving conversions and ROI. Daily and weekly reviewing of campaigns and analytics is necessary to obtain the best possible PPC results for our client’s search campaigns. To stimulate growth and sustain profitability with paid search campaigns, our team will continue to leverage optimization and keyword research strategies. Looking to Sell Products on a Marketplace? Take your online business to the next level by having OperationROI manage your marketplace accounts such as Amazon, Walmart, eBay, Jet, and many more.